Press Release: Make plans to visit the Illinois State Museum in Springfield and the Dickson Mounds Museum near Lewistown this summer. 1. 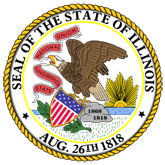 Illinois Department of Natural Resources Newsbits (16-0500-IDNR_Newsbits.pdf).